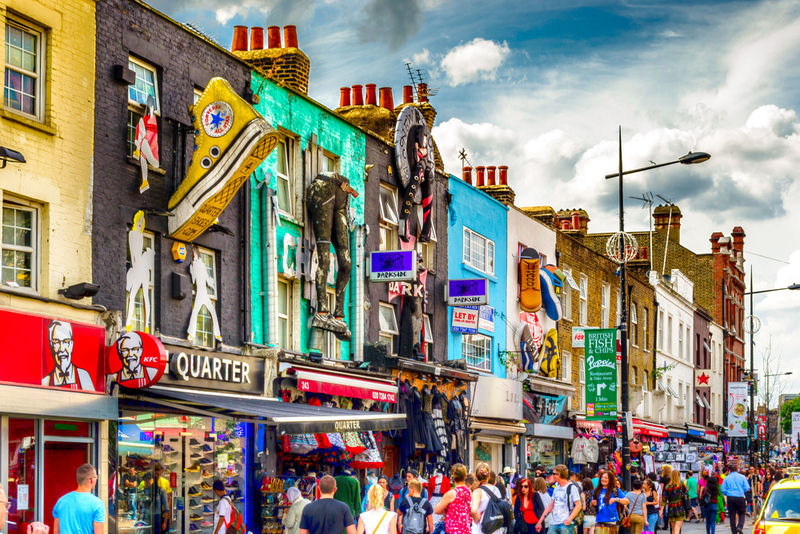 Camden is definitely one of the coolest spots in London and the best place in town if you like to people watch. You’ll see all sorts of people strolling by; eccentric types, fashionistas and loads of great buskers. I have fond memories of the place because it’s where I saw my first ever gig. If you’re not a local then bring your camera because I am sure you’ll want to snap away! Have you heard of Brit Pop and Punk? Well Camden Town is the place where it was born. You’ll find great gigs happening here throughout the week, from big venues to little intimate bars. One of the most famous venues is Dingwalls, it only fits about 500 people but it has pulled in massive acts such as the Foo Fighters and Mumford and Sons. I have spent plenty of long afternoons sat in pub gardens in Camden, I would highly recommend a visit to Edinboro Castle when the sun is shining. They can pack about 300 people in to the garden but make sure you don’t arrive to late because it fills up quickly. If you want the best place for live music then you won’t get any better than The Dev, look online to see what type of music they have on because it varies between rock, punk and metal. The Hawley Arms is a local hotspot, made famous by Amy Winehouse and her gang, so its a must do for a pint and a touch of upcoming music. People usually expect street food to be at its best in places like Thailand, but I would say that Camden rivals it! There are over 35 food stalls open all week long, the place you need to find is called Kerb Camden Market – forget any diet you’re on and eat everything you see. If you want something a bit more formal in a restaurant setting then you have plenty of choices. I absolutely love eating at York & Albany, its quite upmarket but the food is awesome. I think it is the place to be if you want to sample some great modern British cuisine.